This weekend, I enjoyed some quality time with close friends. In keeping with the green theme of the weekend, I went searching for gluten free St. Patrick’s Day themed food. It was tougher than I thought, but I came across this AMAZING recipe for homemade peppermint patties from Elena’s Pantry. I was a little skeptical… that is, until I tasted the final product. It was a real peppermint patty! I couldn’t believe how real these tasted, and how easy they were to make. Thanks, Elena! In a small bowl, combine the coconut oil and honey. Mix with a spoon until smooth and well combined. Roll the mixture into small balls and flatten them into patties. Put them onto a wax paper covered plate. Melt dark chocolate in a bowl. Drop each patty into the chocolate and use spoon to make sure it is covered in chocolate. Return the chocolate covered patties to the wax paper. Freeze again for another hour, at least. They are delicious! I can’t wait to make them myself! 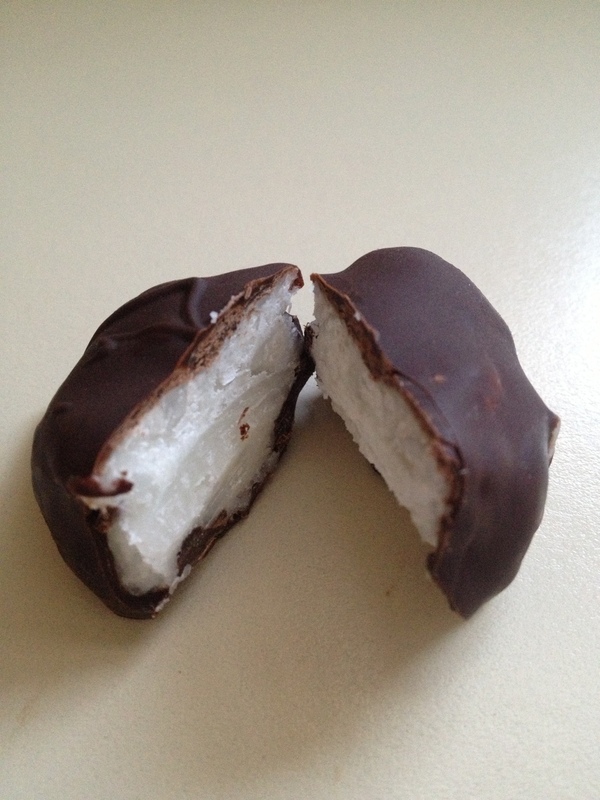 These peppermint patties are AMAZING!! I am so excited to the recipe to my recipe book!